Update (06/11/18): John Carmack tweeted out today the availability for the company’s new 5K encoding, which has made its official debut with a prerendered version of Henry, the award-winning tale of the lonely hedgehog that first came to Rift. 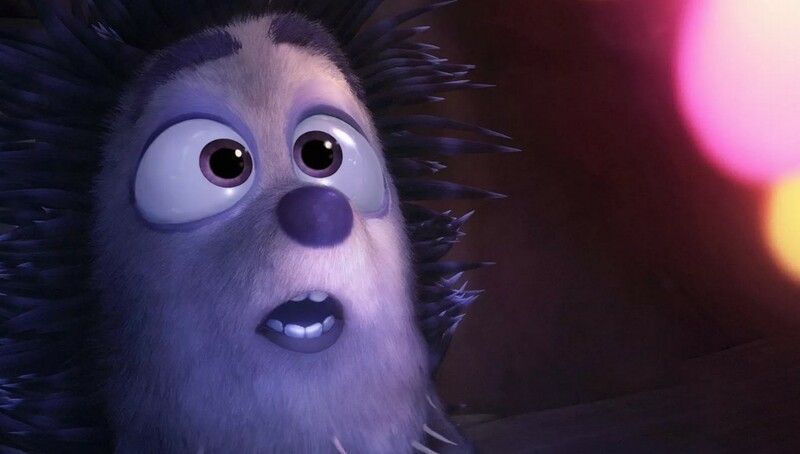 You can check out ‘Henry’ on Gear VR and Oculus Go. 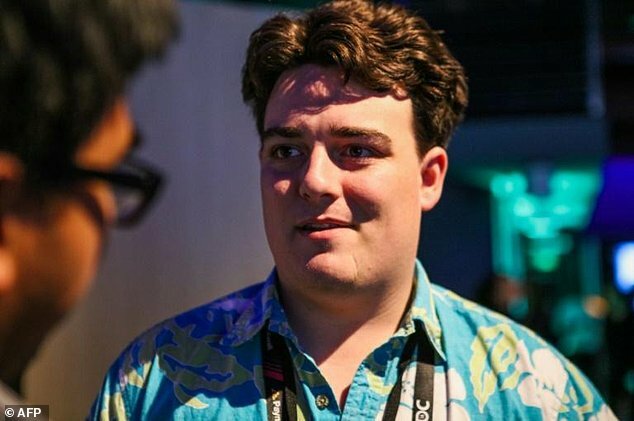 Original article (05/26/18): Henry was the first VR short film released by Oculus Story Studio, the company’s in-house narrative studio which ended up closing in 2017. While Henry was originally released as a real-time rendered experience for the Rift, a pre-rendered VR video version is available on Oculus Go and Gear VR. Strange, because there’s plenty of cool games/experiences that have come out for it in the last few months. Well… while this is not happening I am very happy sculpting on Medium, playing Skyrim, Beat Saber and making money selling VR projects that I build on unreal for companies here in my country. Realtime VR, in the actual state, it’s working. You just another troll. And you’re more of a boring fanboy. And you are now on my blocklist because you have nothing interesting to say and your comments aren’t worth even seeing. The other idiots in my blocklist will be happy to keep you company. Oh No! You’re on Bryans block list! Yeah… you are doing it wrong,lol! 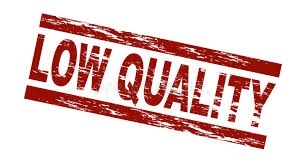 Someone needs to apply this to the otherwise excellent but terribly low-res/low bit-rate Campfire Creepers, stat! I watched the two videos and actually enjoyed them but the quality was abysmal. Finaly VR movies can become watchable. Plus this can open the path to proper pre-rendered games like Myst. I am so tired of the plastic quality of realtime pc graphics. Myst 1 cannot even be rendered realtime on modern computer yet. The original myst isn’t any problem to ‘render’ in ‘realtime’ on modern systems, it didn’t look any better than most realtime aaa games now.. Fact : Full (including 1st ray) Raytracing cannot go more than 1 fps on modern PC in 640×480. Raster does not produce the same image, GPU only approximate reality (without any regard to fidelity), Raytracing is reality. type Myst 1 on google images and please, look very closely. My dog can do better graphics in real time using unreal engine 4 than the Myst 1 pre-rendered graphics. I do 3D animation since 1989 and I programmed my on 3D open gl 3d engine and a raytracer in c++. I know what I am talking about, it’s just that you cannot see why raytracing looks better. I did not say that raytracing is not better in realism. Of course it is. But Myst 1 is not visually better than any modern AAA game. And nobody needs to be a 3D animator or a engine programmer to realize this. What software do you use? I now use StrataCX(not anymore), Silo and Electric Image EIAS3D. I agree that Myst does not look that good, but it would not render in realtime on modern PC. Yes I saw it, but I think they did not used raytracing for the 1st ray and it was rendered on a special computer, not any regular PC. Have you seen this? Real time ray tracing demo. Looks amazing. Not exactly a home computer though…. Again, it doesn’t need to be raytraced to make it look awesome, and if the used the original 3d objects it would look awfull (by todays standards) if it was only raytraced. Raytracing isn’t everything.. But raytracing isn’t necessary to make myst look good on current day hardware.. it wasn’t visually as complicated/nicely designed as most of todays aaa games. Fact, really? Things are different now thanks to AI Denoising. You should check out the Octane 4 presentation from GDC earlier this year. They’re managing 1fps at 1080p on dual Titan V’s, and this is completely unbiased Path Tracer, in its current unoptimised phase. They’re targeting 30fps by the end of this year. Plus, they’ve added a free tier, so you can try it out yourself. Oh god, it’s this Oculus Go fanboy idiot again. The glorified Gear VR will save the planet , cure hunger, and defeat the evil enemies of PC VR. A friend that not play games came to me last week and asked if it was worthy to purchase the Rift to watch 3D movies and VR videos. I said: Absolutely no! Stay away from VR for now and wait another year or two. Videos are the worst part in the actual VR. Depends where you plan to use it. I use a Gear VR with S8, and in the train, the isolation and size of screen makes it worth it, instead of a computer or a tablet. But I never use it at home. And I think they should do dedicated movie headset, like the HMZ who had a pretty good rendering. “I use a Gear VR with S8, and in the train…” In the train with strange people around? Just curious… I will never use an VR device in public. Not for fear about looking sily, but fear for being “blind” and “deaf” with strangers around. If its just to watch movies,you can’t go wrong with a oculus go or gear vr.If you want the ability to move forward and lean in then the rift for bigscreen. I’m sorry, but you’re just wrong. I use my Go all the time to watch videos and even movies. In fact, that’s probably my main use for it. The Go is weak for straight up 2D “3D” (ie: side-by-side 3D) photos and movies, but there are a growing number of players that can handle it. As someone who hates going to movie theatres because of the increasingly inconsiderate audiences (people kicking the back of my chair, putting their feet up on the chair next to me, talking, using their phones, constantly getting up and down during the movie…) going into an app like Oculus Video and sitting alone in a virtual movie theatre and watching a movie in peace is amazing. I do wish Oculus would add the ability to invite friends into the theatre – although you can do that with BigScreen which is also excellent. AltspaceVR has similar capabilities. 2 – When my friend asked me, it was before Go launch. The Rift, for someone that just want to watch movies, it’s to much trouble. Demands a expensive computer, sensors, not so easy setup, no mobility, cables, low resolution and not very confortable. So, I still don’t recommend for any friend to purchase the Rift for just movies and videos. About Oculus Go and Gear VR, I will just say to my friends to test themselves. you are not wrong and bigscreen experience isn’t even close to the experience offered at a movie theater. Who the hell would buy a Rift just for video. No one, which is why your reasoning is on point and stupid all at the same time. I once felt this way too. Then I realized that we’re like the internet before YouTube. If there is no consistency in video content quality, the stream looks bad, websites only house a single video, and the overall experience is annoying, then yes – 2D video is just as awful. But these problems with 360 video are being fixed, day by day. On the Oculus Go, for the first time, I found myself getting lost in these worlds and not getting frustrated by the user experience. Same here… Volumetric video will be mind-blowing. 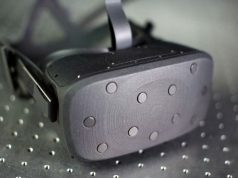 Not how it works, look at Lytro Immerge or HypeVR. 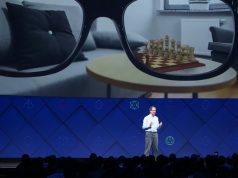 However the software pipeline and buffer is the complicate part: there is so much data that comes in and has to be ambiguated in a stable way, and then it has to be encoded and compressed in a way that it’s playable on a VR headset. The right software tech is missing, in fact it’s missing for high-resolution 360° video too, but 5kx video like the one posted above is a start. Look at what HypeVR is doing. You’re obviously referencing Lytro, which yes, is crazy impractical and expensive but someone had to invente it in it’s “brute” form. Hopefully this can be integrated in typical pipelines like stereo-cubemaps are. Makes hell of a difference for VR videos and hopefully they have a demo upcoming. 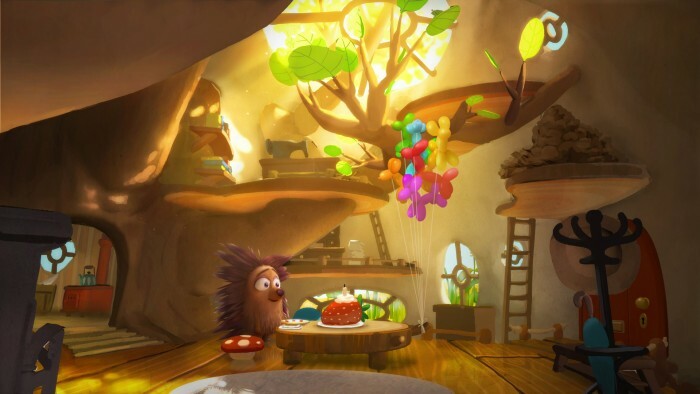 While Henry was originally released as a real-time rendered experience for the Rift, a pre-rendered VR video version is available on Oculus Go and Gear VR. A version of Henry is already available on Go and Gear VR? Can someone explain to be how this would look better? Even it was 10k x 10k source material aren’t we still limited by the pixels/angle resolution of current screens? Why wouldn’t they put this on the Rift too? Maybe since its rendered in real time on the Rift, not a video. Not sure tho. So if the Rift version already as high a resolution then? If not then it still should come to Rift too. I agree that this tech should come to Rift for other 2D video content, but it doesn’t make sense for “Henry.” If you can watch something that looks great and allows for 6DOF, why would you watch a 2D pre-rendered version?? Well only if it actually displays in a higher resolution than the normal version does. But, even just having it as a high resolution video next to the other crappy resolution video–and the already have a video version of Henry in the Oculus Cinema app as I recall anyway–wouldn’t be a bad idea. Can anybody confirm if this is stereoscopic as well? John was gracious enough to encode a file from upcoming app “Breath of a Forest” using his new encoder. He also mentioned the tools might be available 6/17, but not sure if it will just be source code or binaries. I am hoping to get signed on as a beta tester and will know know soon. The cool thing is the quality is far superior to other methods, especially since you can push 5120 x 5120 Over/Under stereo 360 at 60 fps. It will also encodes ambiX 1st order (4-Channel) 3D audio. The only caveat is you can see the low to high resolution transition as you rotate your head, which triggers a rendering of three more stripes at high resolution. The latency is low, and only noticeable if you are looking for it. I am pretty sure there are limitations on what Galaxy Sx can display “Henry.” Or at least that is what I read when installing it on my Oculus Go. Is there a way to view this on the Rift as a 5K video? I just wanna see how much better it makes the typically terrible 360 videos look.